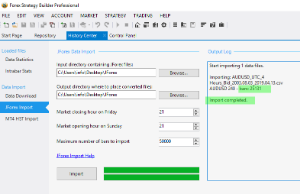 Hello I have been trying to import files from JForex but so far I have not been lucky. I have been following all the steps but nothing seems to work. I always get the same message. 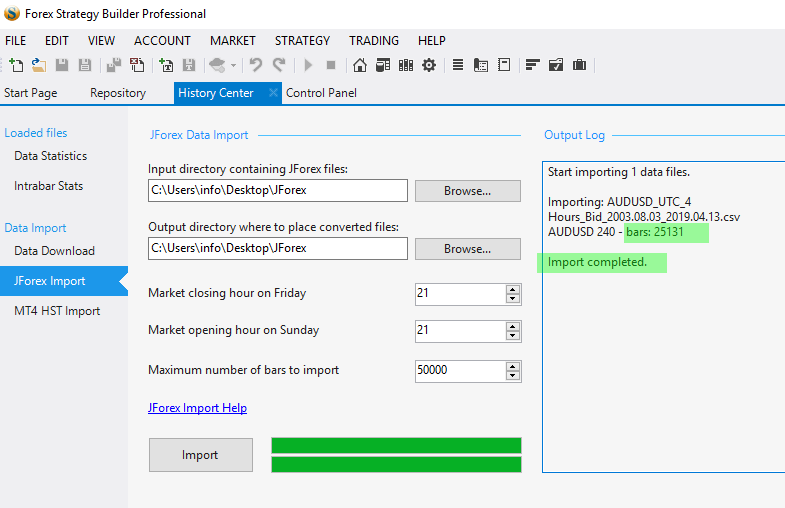 "Cannot find JForex files in input directory!" It is because of the changed format of the file name. These guys have fun changing the exported file names, which of course makes the import unpredictable. FSB Pro currently reads files with the time zone between the symbol and the period. You can rename the file as follows, and FSB Pro will accept it. You can try TickStory light. It also reads data from DukasCopy and has FSB export format. That was easier than expected. I spent the whole afternoon trying to get it to work. Thanks for your help and quick reply!